The U.S. and SOUTHCOM had spent considerable time and effort planning for the invasion and had mapped out several places where Noriega could potentially be hiding, the chief one being the house of a mistress. However, he wasn’t in any of them as he had been tipped off. Now the U.S. military and the embassy had to react to a very different scenario than previously imagined. In Part II, John Bushnell, who was Chargé d’Affaires in Panama from 1989 until 1992, discusses briefing members of the opposition at a dinner just hours before the invasion and finding a way to swear them in as the new government; the attack on the U.S. embassy and how he was shot; the psychological operations, including rock music, used against Noriega when he was holed up at the Vatican’s Nunicature; and the celebrations in the streets of Panama after he finally turned himself in. Q: What hap pened on Tuesday evening? BUSHNELL: I recall on the drive to Howard AFB thinking what a dramatic moment this would be. Seldom does the host of a diplomatic dinner lay out a scenario for a full combat attack and ask his guests to take over their country. At the same time it was a scary moment. No combat operation goes fully as expected. There would be casualties; many Panamanians would die if they resisted. I tried to review my checklist of things I had to do and get done that night. 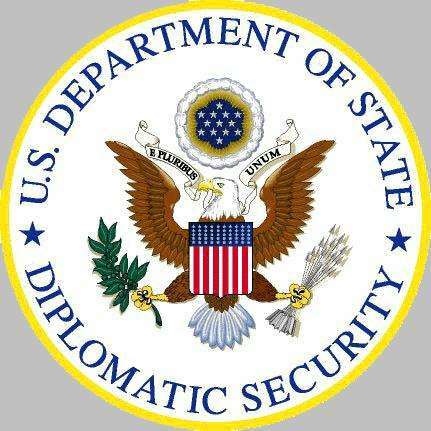 Both my American DS [the State Department’s Diplomatic Security] guards were with me as well as my full security complement of about six Panamanians; I suggested they get something to eat while I was having dinner, as it might be a long night. The President [Guillermo Endara, at left] and two Vice Presidents arrived on time with their security. They were, of course, expecting some visitor from the United States. I suggested we sit down and get our orders placed. Once the waiters left, I explained that things were about to change and we were about to have a lot of visitors. Noriega had gone too far with his speeches and then the killing of one soldier and the torture of two others. I said, “Like 15,000 visitors all armed to the teeth.” Then I explained the military operation, with all main force Noriega units anywhere near Panama City being attacked at the same time later that night, mainly by forces coming from the States by plane. I said our intention was not to occupy Panama but to get Noriega and to permit them, as the leaders duly elected by the Panama people, to take over the government. They had a few questions about the scope of the operation and then about what physical arrangements were being made for them. As the food came, everyone fell silent, and I could see that the magnitude of the situation was just sinking in. I said I hoped the resistance would not be so great that there would be a large number of deaths. After a while Billy Ford said, “The die is cast. Let’s get on with what we have to do.” I explained that we had a helicopter to take us to the safe house. Then we began addressing the practical immediate problems. Finally the last category eligible to administer the oath was “any two citizens of Panama in good standing.” Bingo! Citizens of Panama in good standing we could find. The leaders said they would like to have the heads of the two main human rights groups. I asked them to write notes to these men telling them that it was urgent that they accompany the U.S. embassy officer who was bringing the note. I said we would explain what it was about only when they were with us at the safe house…. Somewhat before 12:00 midnight I suggested we go ahead with the ceremony, as the participants, witnesses, and photographers were all there. I was trying to complete the ceremony before midnight because I had in mind that it would be nice if they were not sworn in on the same date as the military operation. About a quarter of 12:00 they were sworn into office in a short simple ceremony. Not long after 12:00 Thurman called me and said, “John, the forces are in position over Rio Hato [a base about 100 kilometers outside Panama City where the Machos had their headquarters]. They report that troops are leaving the barracks and deploying along the airstrip.” Of course there’s nothing paratroopers like less than to jump into people on the ground shooting at them. I said, “Go,” thinking what an example of the military respecting civilian control. Immediately, I could hear voices in the background yelling the commands “launch and go.” Apparently Thurman had signaled with his arm or I was on a speaker, because I did not hear him say anything. A few days later I learned that within a minute of the launch command the first 82nd Airborne soldier that stood in the door of the plane to jump took a bullet in the forehead, our first killed in action. It was a lucky shot that one of the Machos got off. Our soldiers jumped from a low altitude, began firing in the air, and made quick work of the Machos. Many fled; many surrendered; some were foolish and dead. We had few casualties at Rio Hato. Q: How many soldiers were killed in the entire operation? BUSHNELL: I think we had 22 or 23 American military killed, about half that first night and the rest in various incidents over the next few days. There were quite a few American soldiers wounded. At least three American civilians were killed. It was a brilliant plan, making full use of our technology and airlift. This was the first time this sort of sudden overwhelming force using all the modern transportation and gadgetry was brought to bear on a situation. “Just Cause,” as it was renamed, turned out to be a dry run for what we later did on a much larger scale in Kuwait/Iraq. All the main units of the Guard in the Panama City area and out over 100 kilometers were engaged at the same time. Although quite a few individual troops managed to slip away, the bulk of the Guard surrendered, was destroyed, or was pinned down and surrounded long before daybreak. Over the next few days the massive show of force convinced the Guard units in more remote areas, such as the Costa Rican border, to surrender. 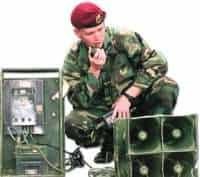 By attacking all the units at once we even made it difficult for Noriega’s forces to implement their fall-back plan of going into the mountains, where they had pre-positioned supplies and equipment to wage guerrilla war. Q: I guess the operation took over the television and radio studios so Noriega wouldn’t be able to get his message out? As soon as we heard loud explosions and heavy weapons fire, I called the embassy. I told the administrative officer a large scale attack was underway and he should have the Marines secure the embassy and turn off the lights, inside and out. He told me they had just heard DEFCON Delta, the highest possible alert, announced on the Southern Command radio network. Soon after that call we lost power in the area of the safe house. I had frequent phone contact with SOUTHCOM headquarters, but the occasional reports were just that things were going well, but within a couple hours they told me Noriega was not at the mistress’s house in Colon. Although the embassy could have contacted me through our car radios, I was not called. About 2:00 a.m. – time was racing for me – I called the embassy again and learned the embassy had been attacked with heavy weapons, I learned later, with recoilless rifle rounds. I was told no one was hurt. The Marines had fired tear gas and the attackers had departed, although firing fairly close by could be heard in the embassy. The embassy had been told a military force was on its way, but it had not yet arrived. I didn’t realize how extensive the attack on the embassy had been for a couple of days nor how concerned some of the people in the embassy had been. Less than an hour after the attack was launched, the first three or four RPG rounds hit the embassy. A Marine was in the ambassador’s office when it was hit. He was knocked down and shocked. He quickly realized that he was not seriously hurt, but there was glass and debris everywhere and a couple of fires starting. Every window in the ambassador’s suite was shattered. The Marine knew where the fire extinguishers were and was putting the fires out as other Marines arrived to help. Everyone except the Marines and military officers immediately went into the secure communication area. Within 15 minutes a couple of more rounds hit the embassy. One passed through the outside wall and an inside wall into the DCM’s [Deputy Chief of Mission’s] office, leaving a hole just above the DCM’s chair. No one had been using that office, since I used the ambassador’s office, but if someone had been sitting in that chair he or she would not have had a chance. It appeared the attackers aimed mainly at the area of the ambassador’s office. I assumed it was a preplanned operation and I may have been one of the targets. The Marines saw individuals with radios near the embassy fence and fired tear gas driving them away. It was 4:20 a.m. before military forces arrived to set up protective positions around the embassy. There was never an attempt to storm the embassy; although reports are confusing, I do not believe anyone got inside the embassy fence. The biggest danger was from fire, because the embassy was an old building, a real fire trap…. BUSHNELL: In the middle of the morning [on Friday after the invasion] General Thurman stopped by the Assembly, and I met with him outside in an open courtyard that was close to the office I was using. The new leaders were busy trying to staff their government on the phones and even talking with some job candidates who came to their offices. Suddenly there was what sounded to me like a great deal of shooting very close to us. My DS agents [State Department’s Diplomatic Security] physically pushed me into the building as I saw Thurman out of the corner of my eye pull out his pistol and run toward the shooting. A car with two or three young men, who must have been drunk or on drugs, had driven through one of the roadblocks guarding the Assembly building, firing automatic weapons at the U.S. military. The intense shooting did not last long; the men were killed, and no U.S. military was seriously hurt. Once I was inside, the DS agents produced a flak jacket from somewhere and suggested I put it on; they pointed out Thurman was wearing a protective jacket. Someone about then began shooting at the Assembly building from a nearby building, so I slipped on the jacket even though it was the old style – heavy and hot…. Once things had calmed down and I had reported the incident to the task force in Washington, I met with the three leaders to assure them adequate security was in place. Ricardo reminded me we were going to see how the new police force was doing. We got in my car and proceeded behind my advance car with my follow cars behind and also a vehicle with Ricardo’s security men. Just as we entered the last long block before the turn into the Traffic building, heavy firing erupted from both sides of the road. I saw muzzle flashes and heard bullets hit the car, which was a fully reinforced (armored) vehicle. I remembered my training from the ambassador’s preparation course, and I pushed Ricardo down and moved close to the floor myself. There were just the two of us in the backseat with my driver and a DS agent, Patrick O’Boyle, in front. Everyone had been well-trained and did exactly what they were supposed to do. The entire convoy accelerated and turned into the Traffic building at significant speed with bullets still pinging and glass shattering above us. I was later told both my Panamanian security men and Ricardo’s in the follow cars returned fire. A brave U.S. Army sergeant exposed himself to fire to direct us to a stopping place while yelling for his men to lay down covering fire. We pulled up to an entrance, and Pat O’Boyle yelled, “Run your fastest into the building” I jumped out of the car and ran toward the door 30 or 40 feet away, with Pat running between me and the incoming fire. As I crossed this space, something hit me in the stomach area and spun me part way around. I thought I would fall, but I managed to keep going awkwardly. By great good fortune I had been so busy that I had not taken the flak jacket off. I had been hit by a bullet, perhaps a ricochet. Once inside, I saw the rip mark on the jacket. My rib area hurt, but no blood had been drawn. Ricardo and my agents were unhurt, although two of his security men were seriously hurt. One fully recovered. I arranged for the other to be medevaced to the United States, and he lived but was permanently crippled. Inside we were in the waiting room for those getting driver licenses, with the entire back of the room the counters for the clerks. It was soon clear we were in the midst of a real attack, not just an attempted ambush of my convoy. Rocket-propelled grenades, mortar shells, and automatic weapons fire were hitting the building not far from us. Pat and his colleague, Timothy Walsh, said we should get to the back of the building and asked if Ricardo and I could climb over the seven-foot high counter wall, as there did not seem to be a door. You never saw a couple of middle-aged-plus desk workers get over a tough barrier quicker! In a room to the back of the building we found about ten former Guard officers and a couple of dozen Guard police. Ricardo and I encouraged them to get a police force organized, and I promised joint patrols with our military. One exiled colonel, whom I knew, begged for arms so his group there could counterattack the group attacking us, but I had to say, “Leave this fighting to the U.S. troops.” It was not an auspicious beginning, organizing a new police force under heavy weapons fire. I was soon on a radio to Thurman in his command center. He told me we had gunships overhead but the attack was coming from the other side of the road, which was in effect the backyards of base housing; families with small children were in the nearby houses and some American kids were even in the yards; it was too risky to lay down the devastating fire gunships provide. After a while, Thurman said two of his aides had volunteered to take his car, which was also fully armored, with Army backup and come down the hill to pick us up. We were less than a mile from Thurman’s headquarters as the crow flies. When they arrived, Ricardo, my two DS agents, and I set another speed record running to the car, which was flanked by Army vehicles with mounted machine guns which opened fire as we emerged from the building. That run was noisy but not dangerous. We were quickly driven up the hill to the tunnel and went in to see Thurman. 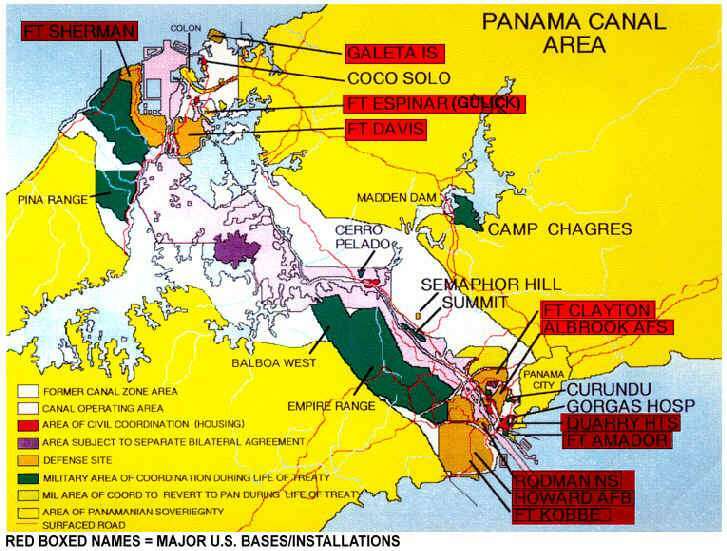 Ricardo may have been the first Panamanian ever in the top secret bunker SOUTHCOM command center, at least while it was in full operation. Ricardo sat at the command table in the same chair I had used on Sunday morning for our long discussions with General Powell and Secretary Cheney. General Cisneros was on the phone with the commanders of Guard units along the Costa Rican border, urging them to surrender. We got Ricardo on the phone to them, promising at least lower-ranking jobs in the new police force to help negotiate the surrender, which came that afternoon…. Q: Did you also get an award for valor or something? BUSHNELL: No, there was no more senior State officer in Panama to put me in for such an award, and I don’t believe I even reported it to the task force at the time; there was too much else to do…. BUSHNELL: Later I learned Cuban intelligence was reporting to Panamanian intelligence in the late evening that many U.S. planes were headed toward Panama. The Cubans could see the armada of aircraft on their radars. 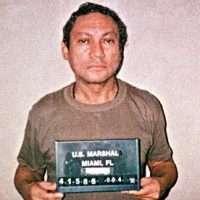 Noriega dismissed all or almost all his security, switched to a common civilian car, picked up a street prostitute, and went to a fairly tacky motel just outside the main airport. Noriega may not have been sure whom he could trust; almost anyone might sell out his whereabouts to the Yankees. Thus he went to a place he perhaps never before had visited, with no one knowing where he was. He feared a Delta Force attempt to take him for a drug trial in the United States. He was right. This quintessential intelligence operator fooled us again, for the next to last time. Thus when our forces struck all 28 sites he frequented he was not at any of them. He was at La Siesta Motel, close to the airport. He heard the shooting at the airport, pulled on some clothes, got in his car with just his driver, and proceeded down the road just as U.S. forces were coming up the road. He saw them in his headlights, did an abrupt U-turn, and went in the other direction into hiding. One of our principal objectives, which was to capture Noriega during the first hour of the attack, was not successful….But during the first four or five days we did not find him. Then he did something which was the last thing that I expected. He went into the embassy of the Vatican. It was his last trick. Q: It was Christmas Eve? BUSHNELL: Right, Sunday afternoon the day before Christmas – perfect timing for a visit to the Pope’s representative. The Nuncio, Jose Sebastian Laboa, claimed to be as opposed to Noriega as anybody. But he knew Noriega well; some said he heard his confessions. They dined together from time to time. Noriega was not exactly a good practicing Catholic; he seemed to prefer witchcraft. But I guess the good monsignor had a duty to reform him. Perhaps I should have recalled the long Vatican tradition of extending asylum, most recently in a direction we supported in Eastern Europe. But imagine the uproar in the United States if we had cordoned off the Vatican embassy. Noriega telephoned Laboa and said he would send a bodyguard to Laboa in 10 minutes so Laboa could come in his official car and pick him up for refuge in his residence. Noriega did not say where he was. Laboa could have refused to go and get him. Laboa claims that Noriega threatened to go into the jungles and cause a blood bath in Panama if Laboa did not rescue him from the terrible Americans. Laboa was somewhat anti-American, or at least anti-Washington, and apparently we gained no points from him by bringing him back urgently to Panama three days earlier by military air…. Q: Did we take some kind of steps to try to encourage Noriega’s departure? BUSHNELL: Yes, lots of steps. Washington mounted a major effort to encourage the Vatican to throw him out or invite us to pick him up because he was a criminal, not a political refugee. I do not know all the steps taken internationally. I recall Secretary Baker talked with the Vatican Secretary of State on Christmas day. 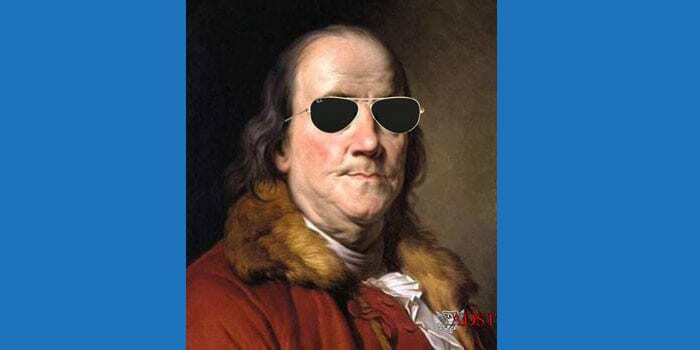 Probably the Vatican would have arranged for him to go to a third country for refuge, but such golden exile was no longer a satisfactory solution for the United States, having spilled American blood to bring him to justice. In Panama, Thurman placed special forces headed by General Carl Stiner and General Wayne Downing around the Vatican embassy with orders to capture Noriega if he stepped outside its fence. On Christmas day I met with President Endara and his two Vice Presidents privately for a couple of hours to analyze the Noriega problem. I would meet with them several times a day at this stage, but for this purpose they sent all the hangers-on who frequented their offices away. They did not want to request the Vatican to turn Noriega over to them. They did not feel they had any jail or trusted jailors to hold him, and his trial in Panama would be a circus at best. Remember at that point all the judges in Panama had been appointed by Noriega or earlier Guard-dominated governments. It would take months or years to get rid of corrupt judges. Thus the new government wanted us to take Noriega; he was already indicted in the United Stares and a fugitive. Any place but a US jail, or dead, they thought he would be a focus for violent opposition to them. They had already urged Laboa to turn Noriega over to the United States. A substantial number, about 60, of Noriega supporters, including many Guard officers, had also taken refuge in the Vatican embassy, most before Noriega arrived but a few thereafter. We decided we should work hard to reduce the number of people in the embassy so that Noriega would not have the moral support of his followers and any law enforcement action would be less dangerous with fewer people involved. I arranged for Stiner’s Special Forces to inspect everyone and every vehicle entering to assure that no additional Noriega supporters joined him in the embassy…. BUSHNELL: On one occasion when Laboa was alone, with me pressing the suicide worry, I could not resist commenting that worse things could happen. 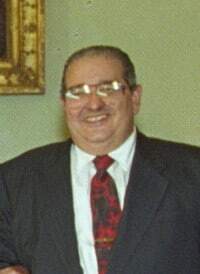 At times Laboa indicated concern about his own safety, especially when he found that someone had smuggled a machine gun in to Noriega, which was kept under his bed. Among our military, only General Cisneros had any confidence Laboa could and would talk the general out. Laboa was not the only person who thought psychological operations could bring this tricky master spy out of his refuge. The psychological warfare units of the Army thought that they would get him to come out by psychological warfare, which on the surface was laughable but harmless. They arranged for Blackhawk helicopters to come in low from the bay right over the Nunciatura, rattling the windows. They burned a nearby field to make a helicopter landing field at night when it would appear the Nunciatura might go up in flames. They continued playing loud music directed at the Nunciatura 24 hours a day. 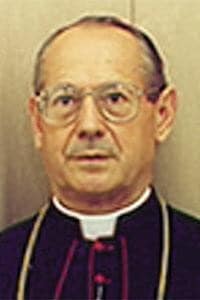 The Nuncio complained to me that Noriega was in a basement room which was relatively soundproof but the Nuncio was in a room that wasn’t, so he was being kept awake by the music. Actually the music had been started for another purpose. Of course, there were hordes of press who descended on Panama for the biggest story internationally during the slow news Christmas period. Hundreds, if not a thousand, foreign reporters were running around looking for stories. As it happened, the big Holiday Hotel where many of the reporters stayed was just a block from the Nunciatura. In the beginning, one of the ways our forces communicated with the Nunciatura was that the Nuncio, or more often one of his assistants, would come out to the gate and talk with our soldiers who maintained the cordon. Thus they would coordinate a delivery of groceries, meals, or whatever. When I would meet with Laboa we used a school just across the street where General Stiner had his temporary headquarters. The military was concerned that the press had set up directional microphones like those used at sports events and could sit on the balcony of the Holiday Inn and, with these directional microphones, pick up conversations at the Nunciatura gate and broadcast such conversations to the world. Thus the military began playing loud music so the reporters could not hear what was said at the gate. They played the music all the time because they did not want to reveal to the reporters what they were doing. Am I giving away a military secret here? Soon the psychological warfare folks took over the selection and direction of music for their purposes. Amazingly the music became a big issue, even being discussed at NSC meetings. Secretary Baker asked for my recommendation. I said I didn’t think it was going to do any good but I wasn’t against it. I didn’t think it was a big issue. Thurman agreed with me. The NSC ordered that the music be calmed down but not totally stopped. Q: What finally made Noriega come out? BUSHNELL: In a few days we were successful in getting down to only Noriega and a couple of his closest associates in the Nunciatura, but I could see that we were not making progress in Washington’s negotiations with the Vatican. The Vatican representative who had come to Panama kept talking about months and years as the sort of period it took to resolve previous difficult asylum issues; he urged that we let our emotions cool, perhaps reducing the forces around the Nunciatura…. I was looking for something to change the playing field when the civic action groups asked to stage a big Panamanian demonstration against Noriega and implicitly against the Vatican for sheltering him. These middle-class people who had banged their pots and pans in the night for years to show they were against Noriega wanted to go to the Nunciatura and yell for Noriega’s head. Our military, especially the Special Forces officers, were very opposed to such a demonstration because our troops would be what kept the crowd separated from the building where Noriega was and we certainly did not want to use violence on a friendly crowd to protect Noriega. Seldom did I go to General Thurman to overcome decisions of other military officers, but on this demonstration I did. I thought it would be a good idea to have this demonstration and to let Noriega know that worse things could happen to him than surrendering to us. Thurman shared the military concerns, but I argued I would get the demonstration switched from evening to mid-day for better security and that his troops could put miles of barbed wire around the Nunciatura so our troops would not have to be nose to nose with the demonstrators. Finally he agreed. Some estimates were that 50,000 showed up for the demonstration about a week after Noriega took refuge. I doubt if it was that large, but it was a big crowd, and they were properly angry and bloodthirsty. Despite the blocks of wire, Noriega could certainly see them out the window or on television, and he could see that some pretty drastic things would happen to him if he weren’t protected. As I intended, he immediately went back to Noriega and repeated what I had said and indicated that he would depart the premises before the next demonstration started. Of course, I had no authority to withdraw the troops, but Noriega may have thought Washington would approve such an option; after all, President Bush had already surprised him once with the massive military operation. I then encouraged the civic action groups to call for an even larger demonstration to bring Noriega to justice. By New Year’s day and particularly the day after, the TV and press were full of preparations for the next demonstration in a couple of days, with various Panamanians saying this time the U.S. forces would not protect him. I got General Thurman to have the troops remove much of the barbed wire and to do it in such a way that a couple of corridors of practically direct access to the Nunciatura were visible from the windows. The morning of the next day, January third, Noriega telephoned and said he had three conditions and he would surrender…. I was expecting impossible conditions. First he said he wanted to surrender in his full general’s dress uniform. I said he could wear what he pleased. He said he did not have a dress uniform with him. Someone would have to get it for him. I said OK and clarified where we would find it at his house. Secondly, he wanted to speak with his U.S. lawyers on the phone without anybody listening. I said I would do what I could to stop any listening. Third, he wanted to surrender to a general officer, a U.S. general. I had no intention of letting him surrender to anyone but DEA agents who would arrest him on narcotics charges, but I promised him there would be a U.S. general present. He said, “Okay, this evening I will come out if you meet these conditions.” General Thurman arranged for someone to get his uniform and for a general officer. 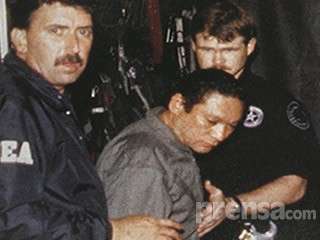 Thurman said General Cisneros, who Noriega knew, would be there with the DEA officers and the Special Forces. I asked Thurman and the CIA station chief to stop anyone who might be listening to the Nunciatura phones…. That day the two ranking Senators on the Armed Services Committee, Senators Robb and Warner both from Virginia, were visiting. Thurman had them most of the day. I took them to call on the new government at some point, but my briefing of them was scheduled to be over an early dinner at Howard Air Force Base. Of course I included in the briefing the Noriega story, ending with the phone call of that morning. I was interrupted as we were finishing dinner by a call from Mike Kozak, who was across the street from the Nunciatura. He told me a priest had come out to say the general was coming, but he had not appeared. I guess I looked disappointed because one of the Senators offered to make me a drink from his flask. Thurman had wisely stopped all sales of alcoholic beverages on any base for the duration of Just Cause. We had not finished the drink when I got the call saying Noriega is under arrest. About the same time yells of pleasure erupted all over the club as the military saw the helicopter lift off on the TV. The Senators literally pounded me on the back to congratulate me…. As I was getting ready to leave the embassy about 10 o’clock, my security people said they didn’t think they could get my car through the streets because the crowds celebrating in the main streets were too big. I said, “Gee, I’m tired. They may be celebrating all night; they have waited over 10 years for this moment, but I want to get home.” At this stage I still had a military vehicle with a machine gun mounted, which followed directly behind my car for security. My DS agents recommended we just go in the Humvee because people would get out of its way. There was great clamor by many people getting out of our way about how grateful they were and how wonderful it was that Panama was alive again.